Some movies aren’t good. Some movies are so bad they’re enjoyable. Some movies try to be so bad they’re enjoyable and wind up on SyFy. Some movies take that as a challenge and appear to be created as some form of social experiment to find out if people will actually watch anything. I owe apologies to some of the movies I’ve panned, because Creepies proved that it’s possible to be more artless and less ambitious than The Asylum. 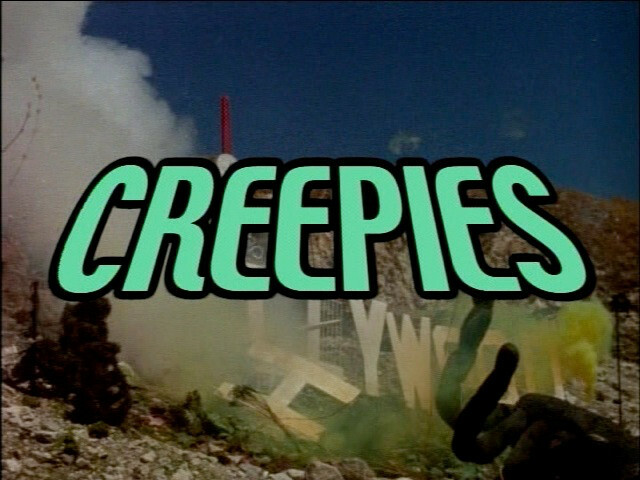 The general plot outline of Creepies is that writer Eric Spudic once saw The Return of the Living Dead . Left alone at work, an experienced worker shows the new guy what the army sent them by mistake. Part of the shipment is accidentally opened, and the monster movie is underway. Additional highlights are the appearance of the new guy’s girlfriend and her pals, calling a paramedic to treat a mysterious sickness that resulted from breaking the seal, studying a captured monster, and the aggressive reaction of the army when the number on the container is called. Absent are good writing, acting, soundtrack, effects, direction, editing, and the general ability to care about results. 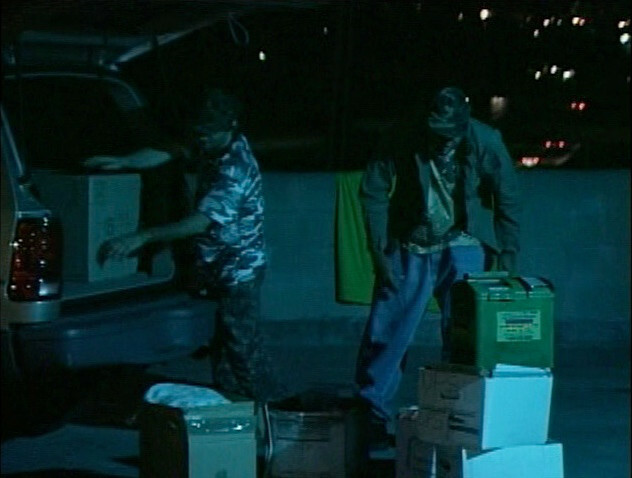 For example, there’s low-budget esthetic and then there’s having two guys in green shirts at a station wagon and passing it off as soldiers loading a truck. It’s not the cheapness that hurts so much as the indifference toward attempting to create an illusion. What we do get is plenty of decent miniature work souped up with godawful CGI. 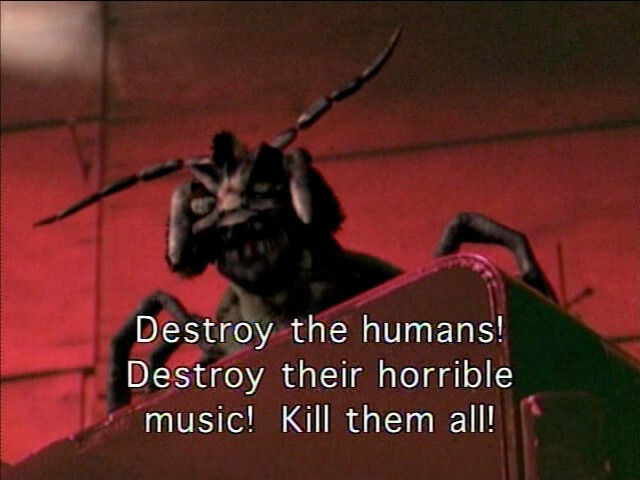 The military container held genetically modified spiders, and I think you can guess that I’m all over that. I’m even prepared to accept the marginal effects that create the man-made menaces (except for the giant one, but I’ll get to that). What sticks in my craw is that there are at least five different crap spider designs, and no attempt to explain it. There was one that escaped from the military base, and a handful that emerged from the canister, so where do all of these damn things come from? This could have been a cute device, but it only talks once. The ones it’s commanding are just balls with legs. It’s the sort of complaint that gets waved off with remarks about comedy and entertainment, except the movie can manage neither effectively. So we’re left with the creators being incompetent and/or not giving a damn. I honestly have to wonder if the whole debacle wasn’t a tax dodge. Watching this so soon after Bite Me! simply reinforces my opinion that a little bit of care makes all the difference. Neither movie had much to work with, but Brett Piper put effort where it would do the most good: serviceable effects. 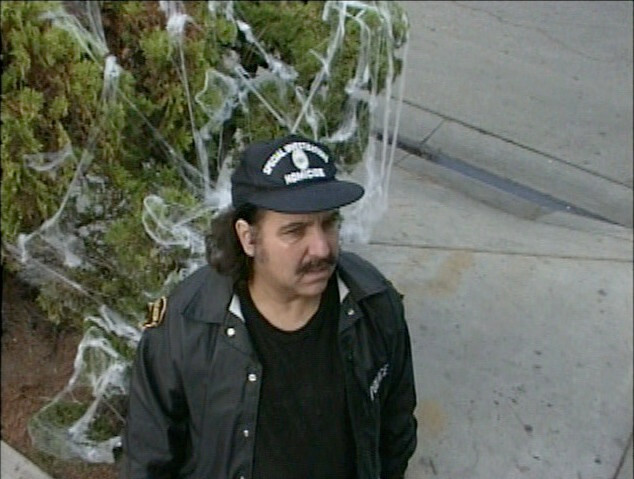 This movie put its effort into two minutes of Ron Jeremy. Okay, we all know that the only reason I watched this turd is because it has a giant spider. The giant is formed through the merging of thousands of the tarantula-sized spiders. One potentially neat side-effect of that is that it sheds dead spiders whenever it’s injured. We get one shot of this — featuring CGI that’s on par with Birdemic — and it’s so far away that you have to rely on the dialog to identify the stream of dots. The giant itself looks like a poorly-animated children’s toy, goofy and floppy. It’s so terrible that it makes the miniature footage it’s placed on look almost respectable. A still image cannot convey the way that this thing flopped all over the place. The puppet of the giant spider works a lot better. I wish they’d committed to it. I know I’ve been coy so far, so I’ll spell it out. This is by far the worst spider movie I’ve seen to date. I’ve been holding off on reviewing Mari-Cookie and the Killer Tarantula for this site because it’s the one that broke me last go-around, but if I knew where my copy was I’m now ready to see it again. Dragonquest , I’m sorry for hating on you. You were a delight in comparison to this excrement. My only consolation is that I’ve now hit the bottom rung — so long as Creepies 2 remains unavailable.